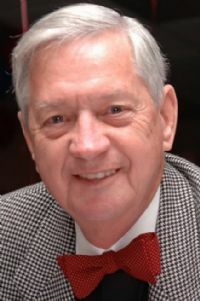 John George Beck, 73, of Aquia Harbour passed away peacefully on Monday, May 11 at Stafford Hospital after a brief illness. At his death, he was surrounded the loves of his life, Yvonne Schulte Beck his wife of 52 years, his four children and their spouses, Paula Beck Berntsen (Ted), Lisa Beck Jones (Dana), Donna Beck Dietz (Tim), and Christopher Beck (Angie); 10 grandchildren, Bryan Jones (Brandy), Megan Jones, Brandon Beck, Ashley Berntsen, Alan Jones, Courtney Dietz, Austin Beck, Tyler Berntsen, Allie Dietz, and Cody Beck, 3 great grandsons, Blake and Brayden Jones, Ethan Bienlien, his brother Jerry Beck (Arlene), and sister, Marsha Beck, and sister-in-law Tricia Beck. The room was overflowing with love for the patriarch of this family as he faithfully went to be with his Lord Jesus Christ. Born March 28, 1942 in Scranton, Pennsylvania George was preceded in death by his parents George and Loretta Beck and his youngest brother, Bobby. As the oldest of four children, George started off #BeckStrong. He attended Saint Patrickâ€™s Catholic School, where he met his soulmate and love of his life, Yvonne while in the first grade. After graduating from high school, George served his country in the U.S. Army Reserve for seven years. George and Yvonne began their married life together in Arlington, Virginia in 1962 when George was recruited into the Central Intelligence Agency (CIA) as a Computer Systems Analyst. His 32 year career with the CIA was filled with triumphs that he was never able to share but it was clear that he was a wonderful supervisor, counselor, and teacher of technology to his many colleagues and friends from Building 213 and the National Photographic Interpretation Center (NPIC). Residents of Aquia Harbour might know George as AQUIAZ, the man with the 1929 Willys Knight, or the Captain of the Misty Blue but behind his â€œstylin rideâ€ he was a pillar in the community, an active member of the Aquia Harbour Yacht Club and a founding member of the Aquia Harbour Community Emergency Response Team (CERT). He served the community with pride and loved that he was able to give back to the place he has called home since 1987. Not only have George and Yvonne called the Harbour home for the past 28 years, but his three daughterâ€™s families all live within 5 miles of Beckâ€™s Bend â€“ a true testament to the bond the family shares and values. Guided by his faith, George was a devout Catholic at Saint Francis of Assisi Parish in Triangle and was an active member of The Father Mychal Judge O.F.M. Division Ancient Order of Hibernians; a 4th Degree Member of the Knights of Columbus; a Eucharistic minister, and a go-to man for the Friars. Up until his illness, George was assisting Catholic Charities weekly supporting the transportation program and providing young families ride services to and from necessary appointments. A man of little words, but the biggest heart, George was a friend to all. And still, 52 years later, the Becksâ€™ love story continues to unfold. His greatest pride in life was his wife and their family. George has always been the guiding light for his children and their families and will continue to inspire and challenge them every day. George led by example â€“ he defined character and honor, always giving unconditional love, his heart, and his everlasting presence to his family and friends. He had a truly remarkable love for his pets, a love that he shared with his wife and passed on to his kids. He was â€œGrampa Georgeâ€ to his great grandsons. He was â€œG-paâ€ to his 10 devoted grandchildren. â€œDadâ€ to the luckiest children in the world, and â€œHoneyâ€ to the most beautiful red head that he winked at when they were in the first grade. Little did he know that that one wink would change the world. George Beck will forever be the beacon in the lives of all who have been fortunate enough to follow his wake (but remember SLOW DOWN AT MARKER 33!!). I IV III to our hero.